The lovable crew of Steven Universe is getting their own movie soon, and Cartoon Network is joining forces once more with Dark Horse to bring fans an inside look at all the gorgeous visuals from the anticipated flick in a brand new art book. Dark Horse and Cartoon Network have announced The Art of Steven Universe The Movie, which is set to launch alongside the long-awaited movie later this fall, and you can get an exclusive look at the book's official cover below. The film, which was announced last year, will bring Steven, Garnet, Amethyst, and Pearl together once more to take on a mysterious villain, one who was teased in the original trailer. Fans can get even more insight into the creation of the movie and the characters they love in the art book, which will feature character designs, storyboards, and more. You can check out the official description below. For those who are unfamiliar with the series, it revolves around a team called The Crystal Gems, a team of magical beings who defend the universe. Steven is actually half-human and half-Gem and is treated as the little brother of the team, as he's still learning how to use the magical powers that come from his bellybutton. While he might not be as skilled or powerful as teammates Pearl, Amethyst, or Garnet, he often finds a uniquely Steven way to save the day. 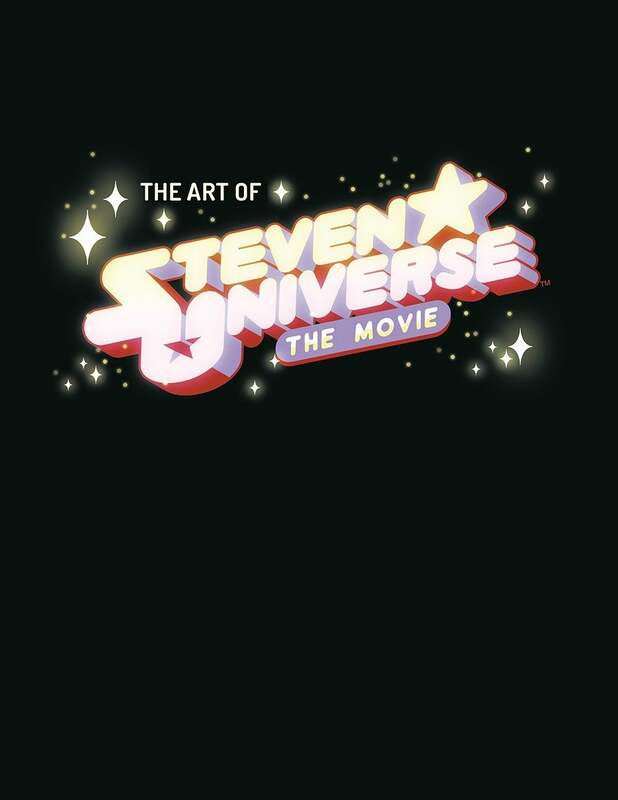 You can pre-order a copy of The Art of Steven Universe The Movie through Amazon, Barnes & Noble, DarkHorse.com, and at your local comic shop. This unique, 96-page zine-like softcover retails for $19.99.